COVER – The cover is beautiful , the soft and silky really adds up to the romantic title of the book. 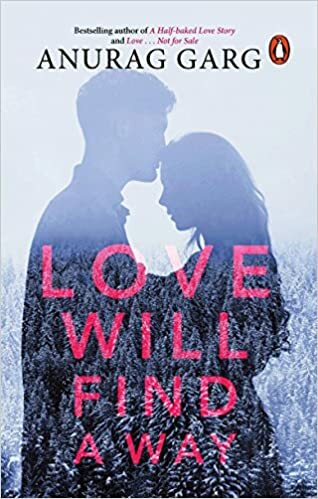 TITLE – The title is hopeful and romantic saying that love will always stay when it has to and will come to you when the time is right no matter the hurdles. CHARACTERIZATION – There are a few characters and the way they have been interpreted is strong and you can imagine them in the story just like that. WHAT I REALLY LOVED – The little poems throughout the book and the cover. The story was’nt stretched much. NARRATION – Having a past story and present story going on together is a tough job to do, and the author has done it beautifully without ruining the feel. at times i felt it was getting a bit obvious at times. LANGUAGE – The language is simply written. and the pace keeps you hooked to the book. The story has a twist in between with Madhav’s psychological problem which really starts to ruin his love life. The book is one time read. BLURB – Three Thrilling Stories, One Gripping Novel. In the first tale, a naked man is trapped inside a white box. His only company: ‘DE22912’. How long can he survive? The second story, ‘Patient Number 9’, is about a hospitalized patient who must save Earth from an alien attack by blue pig-like creatures. The countdown has just begun. In the third narrative, an angry sixteen-year-old gets hold of a loaded revolver and is determined to make use of all ‘Six Bullets’. And no, it’s not a toy. 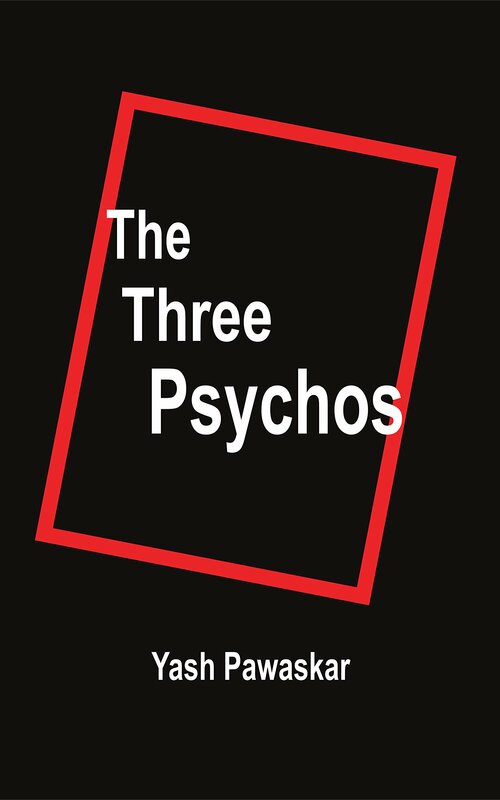 The three psychos are part of a connected universe, set in a novel with innovative storytelling, witty narration and an entertaining mix of thrill, humour and drama. REVIEW – This is author’s third book! Starting of the cover it is really simple and gives in the psychological maddening view. The title is definitely enough to let you know about the genre of the book. The book consists of three different stories woven into one book. The vocabularly is commendable and pace is good too. The book is dark and about humanity and life. All the three stories are different and woven well. The book is a short read so you will definitely finish it soon. BLURB – A blind girl’s chance meeting with a stranger sets her on an unforgettable journey of love and light; a loveless marriage is rebuilt by the very thing that is meant to destroy it; an estranged mother’s fight to reunite with her daughter reveals to her the strengths and flaws of bonds of blood, two women separated by years of hostility discover the many forms of heaven and hell as fate decides to redeem their relationship; an eighty year old man’s chronicle of love and loss that tells us all about the permanent consequences of choosing against our heart’s will. These are stories of promises and letdowns, of faith and betrayal, of sins and atonement; these are stories that introduce us to lovers, bravehearts, convicts and prostitutes. ‘Promises of a Firefly’ binds together eleven tales that remind us of our gifts, our glories and the crushing limits of our lives. About the Author: Anupam was born and raised in the millennium city of Cuttack in Odisha. He finished his schooling and graduation while growing up in the thousand year old city’s narrow lanes and ambient warmth. Inspite of the necessity of having to pursue science and then law for a career, his love for art has always shone the light of his soul. He used to teach and has worked as a banker prior to taking up public service as his profession. An avid lover of all forms of art, he confesses to find comfort in telling stories. 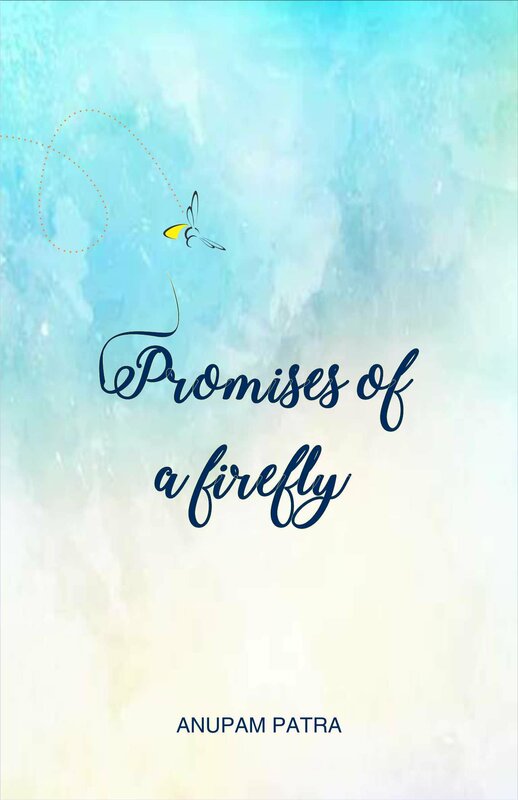 Promises of a Firefly is Anupam’s debut book. REVIEW – Some books leave you with longing and a sense of home,this book is one of them. A collection of story always ready on to the go to read indulging you with parts of the world. such a great book one must definitely have a hands on to. the book gives such an amazing feeling right from its simple yet elegant cover. the title felt a little abrupt but makes all the sense. This book will hold you in the toughest times. will make you learn alot of things and even make you learn to let go through. the words are simple and hard hitting. the stories are connecting and really mesmerizing. it will keep you hooked. each story is woven in it’s very own individuality. all of them were amazing, I not have just one favourite as the whole book is a personal favourite and i will definitely read it again! very few books can have effects on you. this book is definitely one! the stories are based on observations and even on society norms. book cover – it relates well to the story once that you are done reading. title – it is kept on the story villains character name – “kansa”. This is the first book in the trilogy series by prassant kevin. Had been a while since I read a thriller and this came out to be the exact thrill I was wishing to read. 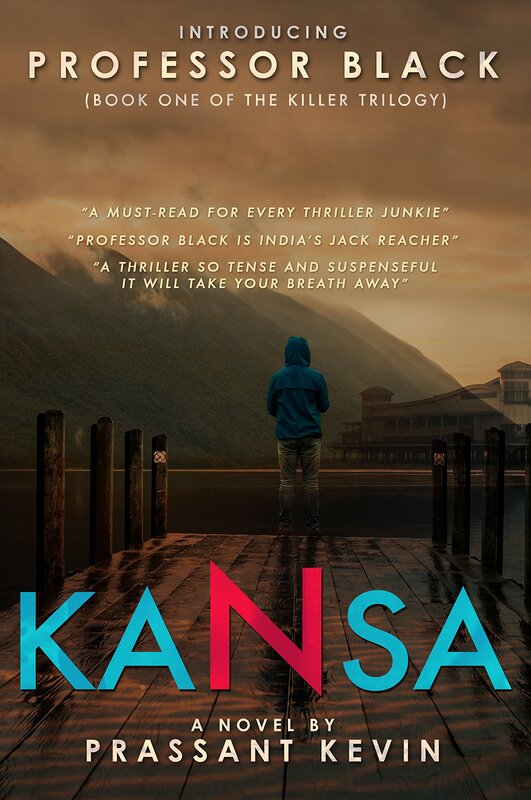 The story is gripping the story is broken into chapters and in two parts for me where one about professor black and the other teeth gripping story about kansa and finding him out through ups and downs in the story cunningly. The pace is amazing and so is the vocabularly. author has done an amazing job in compiling this book. A lof of efforts can be seen in the book. I really even liked the way the book has it’s own feel along with the cover and the typeset put broadly. done amazingly as well – it plays like a movie in your head. the book will definitely keep you on the hook. Not going much into the story- because one must definitely read it!